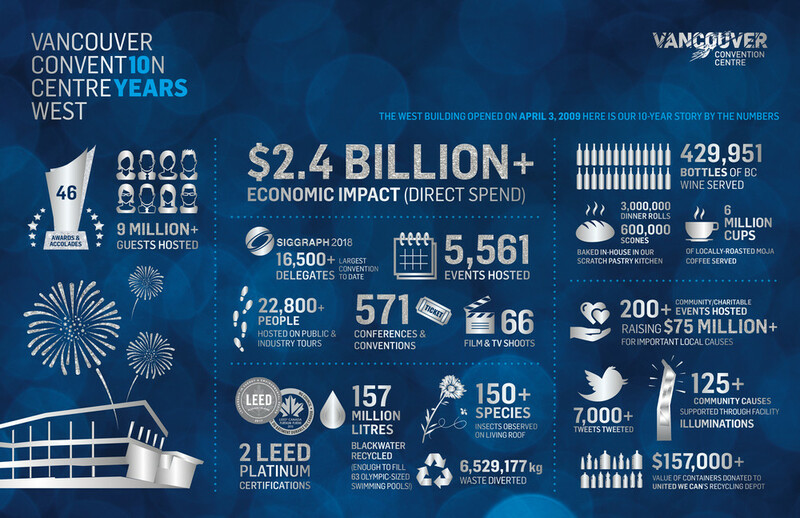 Vancouver, BC (April 2, 2019) – Ten years ago, the Vancouver Convention Centre opened the doors to its West building on April 3, 2009, marking the beginning of an unprecedented opportunity for British Columbia to shine on the world stage through the offering of an inspirational space in a breathtaking location. 5,561 events later, the West building of the Convention Centre is an icon for the city of Vancouver and an award-winning international industry leader. The events that take place here contribute to the advancement of global collaboration and transfer of knowledge on issues that matter to this generation, not only in BC, but around the world. 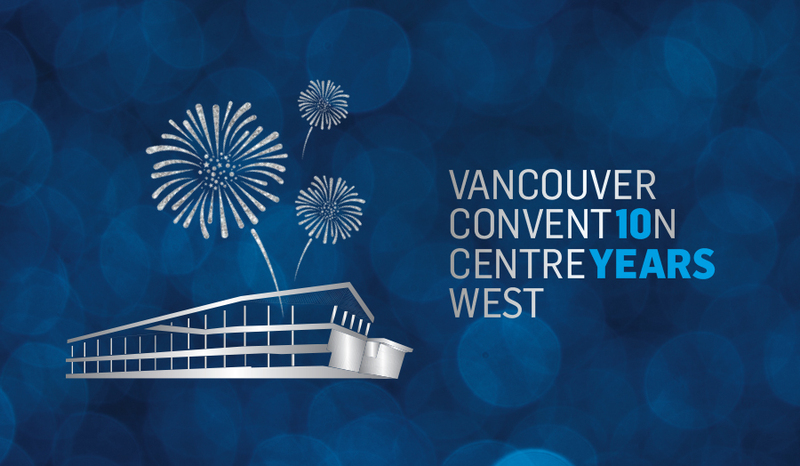 With the addition of the West building that tripled the facility’s capacity, the Convention Centre has welcomed over 9 million guests from around the world and generated over $2.4 billion in direct spending for British Columbia over the past decade. The 5,561 events range from major city-wide conventions, including the renowned TED Conference and SIGGRAPH computer graphics conference to consumer and trade shows, private meetings, banquets and fundraisers, community events, special events, public celebrations, and film and TV shoots. Apart from the economic impact generated by the expenditures of event attendees and exhibitors, the impact of these conventions and events are more far-reaching. Whether it is advancing academic and scientific research; driving awareness or solutions to a global issue; or introducing investment and new ideas to a host city, the meetings hosted create legacies in local communities, industries and globally. One example is the 2015 International AIDS Society Conference held in Vancouver, which called for a plan to eradicate the disease by 2030. Editors: For high-resolution photos, infographic and video, please click here. Photos, video and infographic are available for download here.